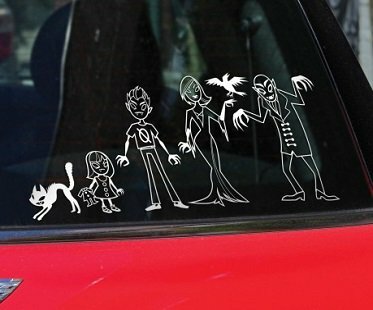 Add some creepy fun to the back of your car with these vampire family car decals! Their design is a blood-tingling twist on the traditional style of family decals and you'll get nine different stickers to make up your own family. There's: 2 adults, 4 children, 1 baby, 1 cat and 1 dog.